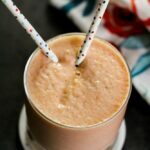 Smooth, creamy, easy, and a taste of the Islands are quickly assembled together in this Cuban papaya smoothie! My parents have always been night owls. Hearing a blender go off at 2am is not unusual in their home. My father is the king of making Cuban batidas (milkshakes). His favorite (and best) would hands down be his banana milkshakes, I loved them growing up! But he’s also known for picking up fruits from the local farmers market that remind him of Cuba. Where Do I Buy Papaya? These days, a lot of fruit is already sold peeled and chopped in bags in the frozen aisle for the sole purpose of making smoothies. Papaya is among the growing list of frozen fruits. It’s sold by Goya in the frozen section, call ahead to see if your store carries them. I admit, in the winter months in Pennsylvania, my freezer is stocked with frozen fruit. Thankfully, papaya is becoming a common fruit and can almost be found year round in your local market, especially in the summer and fall months when papaya’s are in their peak season. Papaya is fully ripe when it is mostly yellow. Remember to discard the skin and the seeds for your papaya milkshake! How Do I Make A Papaya Smoothie? For an easy papaya smoothie, you only need 3 ingredients. 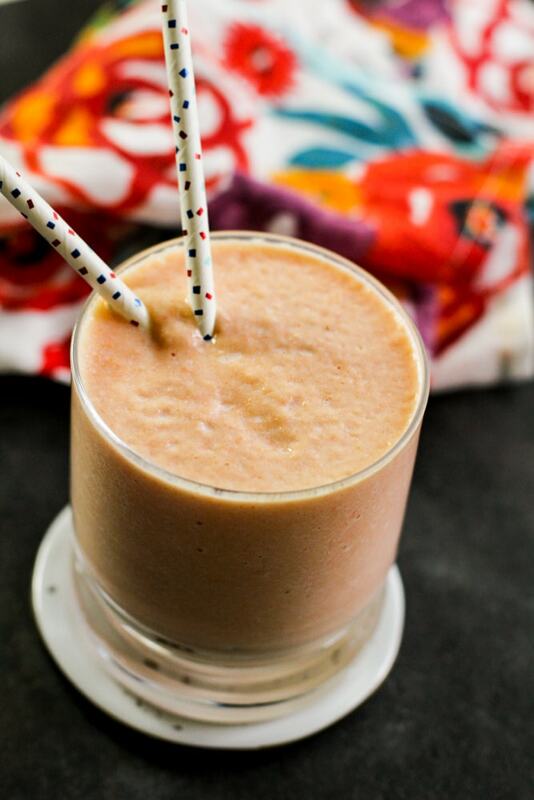 Fresh or frozen papaya chunks, milk (your choice), and a sweetener! Take 2 cups of chopped papaya, 2 cups of milk, and my father has always used condensed milk to sweeten his smoothies. For a more authentic Cuban milkshake experience, I highly recommend using condensed milk to sweeten your smoothie. But for a healthy papaya smoothie, I suggest you sweeten it with honey or stevia. Blend your ingredients in a blender and viola! Quick note, if you like your smoothies ice cold, I highly suggest adding a handful of ice! Especially if you’re making this on a scorching hot summer day. What Can I Add To A Papaya Smoothie? Papaya pairs very well with other tropical fruits. Think passion fruit, coconut, mango, etc. Papaya is pretty versatile, just do not go crazy, keep it simple. 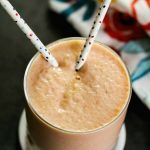 I love Pinch of Yum’s Papaya Mango Smoothie Recipe, it looks so good! That’s it mi gente! I hope you enjoy this recipe, please be sure to rate this recipe below and leave a comment telling me which is your favorite tropical fruit! 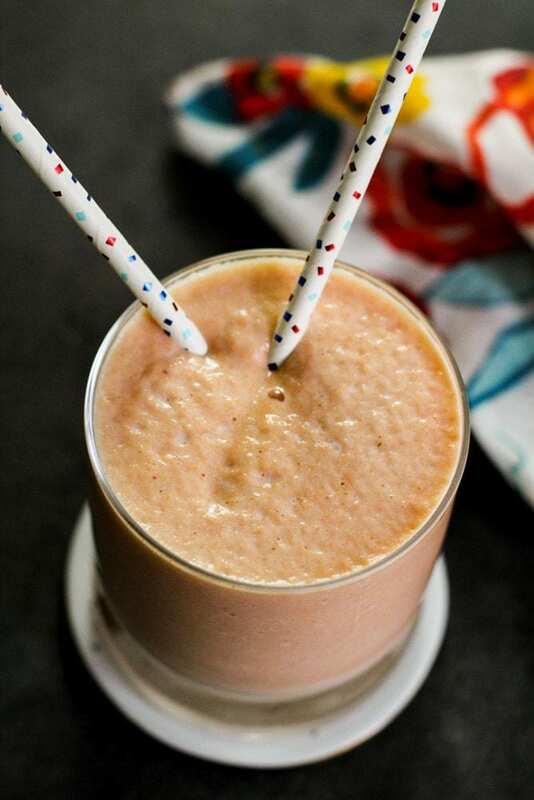 Smooth, creamy, and lightly sweet this papaya smoothie is perfect for a sweet treat! Into a blender, add all ingredients and pulse until smooth. You can use condensed milk or a sweetener of your choice for a healthier alternative. Hey Neyssa! 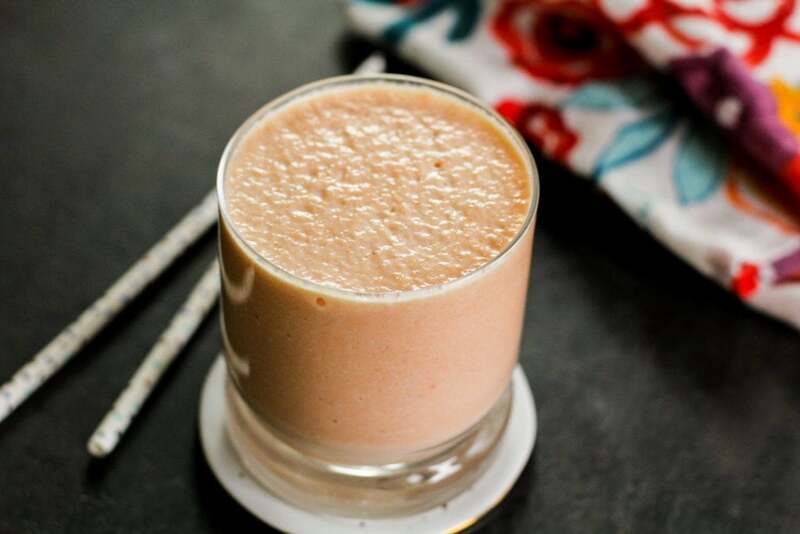 Thanks for sharing this Papaya smoothie recipe, I can’t wait to give this a try. Never tried one before 😉 By the way, Mango is my favorite tropical fruit. Cheers!